An innovative way to support the NHS in dealing with patients’ social needs whilst improving individuals’ wellbeing has been given a £663,000 boost. West Suffolk Councils led on securing the extra funding for the social prescribing scheme which has been run successfully as a pilot in Haverhill. The six-figure sum will both strengthen the Haverhill LifeLink scheme – run in partnership with ONE Haverhill Partnership – and be used to work with local partners in Mildenhall and Brandon to develop a social prescribing model for the two towns. The scheme helps address social and wellbeing needs of residents which can also impact on health and are sometimes traditionally hard for medical services to address. This has led to people gaining confidence, reduced loneliness, getting back to employment, volunteering and helping physical and mental health as well as reducing debt. Half a million pounds in funding was agreed by Suffolk Leaders as part of the West Suffolk Councils’ share of the 100% Business Rate pilot. Just over £160,000 has also been provided by the NHS West Suffolk Clinical Commissioning Group for the social prescribing scheme. While £500,000 was provided through the Business Rates Pilot money that was awarded to Suffolk by Government for placed based issues. West Suffolk Councils have been backing the pilot in Haverhill with other agencies including the CCG and ONE Haverhill Partnership, where almost 200 people have been supported in just over a year since its inception. A range of agencies can refer people to LifeLink, not just GPs, to help make access to the scheme quick and easy and reduce people going from organisation to organisation. Social Prescribing is a non-medical intervention which can help address social needs and issues of individuals. Not only can it support individuals who are reliant on statutory and health services to become more independent and resilient it is also one of the main routes to prevention. This could be a catalyst to providing a long term solution for individuals and services. 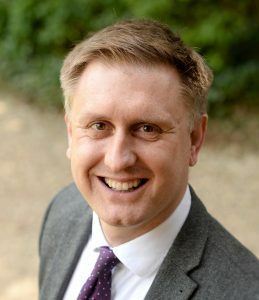 Dr Ed Garratt, chief officer, NHS West Suffolk Clinical Commissioning Group, said: “It is very pleasing that the Haverhill social prescribing project has proved such a success and it is great news that the service will be expanding further to Mildenhall and Brandon, thanks to these extra financial resources. “We’re glad to offer our support, with the £164,000 funding being part of a wider £5 million transformation fund which the CCGs in west and east Suffolk have earmarked specifically for 46 individual projects that support partnership working and better outcomes for our population. John Mayhew, chairman of ONE Haverhill Partnership, who launched LifeLink in partnership with West Suffolk Council, said: “We are delighted that the Haverhill LifeLink health project has been secured for another three years after making such a tremendous impact as a pilot project, exclusive for the residents of our town. “Thanks to the hard work and commitment of many, Haverhill LifeLink has made a real difference to the lives of almost 200 people in Haverhill and I look forward to this continuing.